Between the Mediterranean and Provence, the Yelloh! 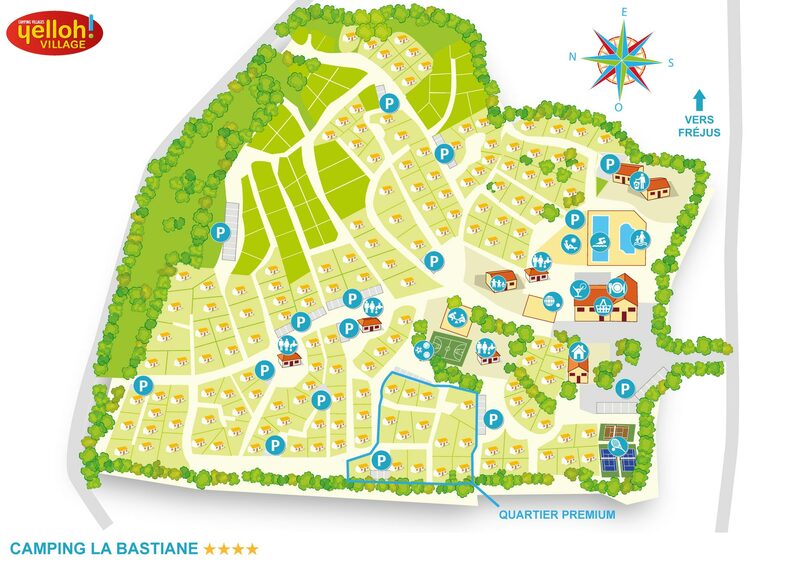 Village La Bastiane is your dream holiday destination! The beaches in Fréjus as well as the Gorges du Verdon are only a few kilometres away from the camping La Bastiane. You'll love your authentic camping holiday in the shaded, wooded country setting in the Provence-Alpes-Côte d'Azur region and feel right at home in the friendly, welcoming atmosphere. Come discover the camping's upmarket accommodation and heated aquatic area set in a natural, protected environment. Your Mediterranean camping holiday is waiting for you in the Var! Nice place, well managed, good infrastructure, clean. Great. small personable site, friendly helpful staff, good facilities, lovely accommodation with everything you need. Are you longing for relaxing naps and sunbathing on the Riviera, hikes along wooded mountain trails or visits to typical Provencal villages? Just make your choice: everything is possible at the camping La Bastiane! Discover 60 km of beaches that extend from Saint-Raphaël to the Gulf of Saint-Tropez. They say they are some of the most beautiful beaches on the Côte d'Azur! During your camping holiday in Fréjus, you can also experience the authentic side of Provence, with its charming little villages, breathtaking panoramas, where sunshine and nature go hand in hand. The famous "Sentier de Douaniers" (Custom Officers' Control Footpath) along the coast is a perfect example! Also worth a visit: distinctive cities are only a few kilometres from your camping in Fréjus. Don't miss world-famous, glamorous seaside resort cities such as Cannes and Saint-Tropez, or be amazed by authentic little Provencal villages, like the hilltop villages of Fayence, Tourtour and Seillans!